Five color screen printed poster for The Avett Brothers July 9th, 2016 show at the Toledo Zoo Amphitheater in Toledo, OH. 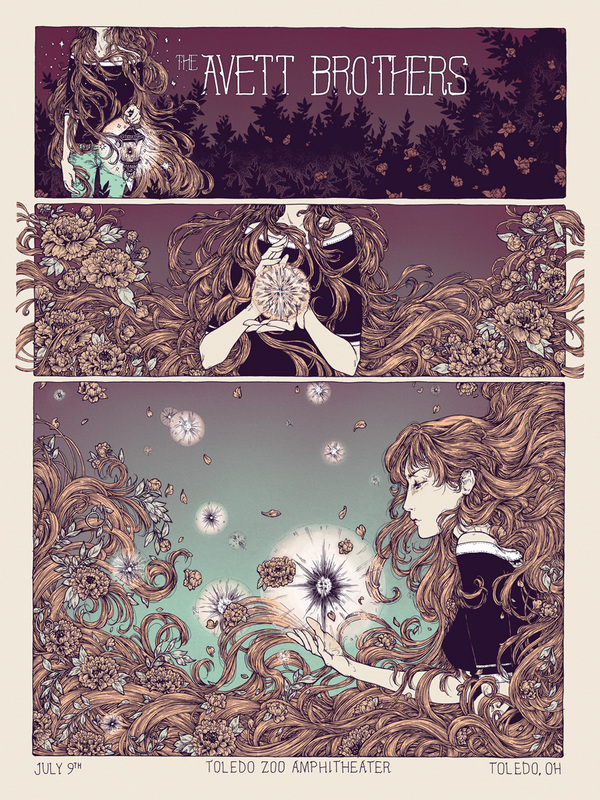 Inspired by my love of sequential art and comics. 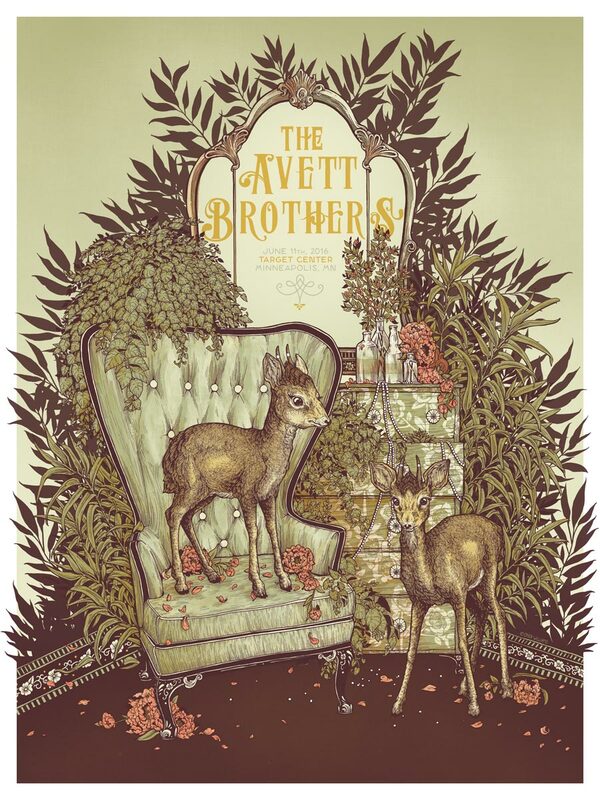 Five color screen printed poster for The Avett Brothers June 11th show at Target Center in Minneapolis, MN.